While telehealth solutions are becoming more widely used as a way to deliver healthcare services, some providers are reluctant to embrace them for the delivery of certain addiction treatment services such as medication-assisted treatment (MAT). The U.S. Department of Health and Human Services has issued some materials reminding providers that telemedicine can support traditional treatment approaches in several ways. According to the HHS, telemedicine can be used to administer MAT to patients with an opioid use disorder. MAT involves giving patients drugs such as buprenorphine and naltrexone, and it is combined with other behavioral health services. The HHS has worked with the DEA to develop materials to clarify the use of MAT under current regulations. Telemedicine can now be used to administer MAT in rural areas with a particular waiver that allows the prescription of these drugs in this setting. Telemedicine in addiction treatment has come a long way in the past several years. Not everyone can afford to check into a facility for detox from a time or expense perspective, even though this is highly recommended. The FDA has just approved a wearable device that helps patients who are experiencing opioid withdrawal symptoms. Worn around the ear, this mobile device emits electrical impulses through tiny needles to provide relief associated with certain opioid withdrawal symptoms such as depression, anxiety, craving and agitation. Telemedicine can be used to manage MAT and coordinate other addiction treatment services. Many people experience gaps in treatment due to a variety of factors. A person in need of treatment may live a significant distance away from services. Others may lack adequate transportation or have little support from loved ones. Fortunately, a majority of Americans have smartphones, and these can be put to use for follow-up addiction and behavioral healthcare. In some cases, a treatment program might require an initial in-person visit and then allow patients to conduct follow-ups with healthcare professionals through telemedicine platforms. There are a wide variety of Florida addiction treatment resources, and some of them are available as virtual tools for recovery support. A client can use a digital messaging platform that allows peers, family members and service providers to send messages of support. 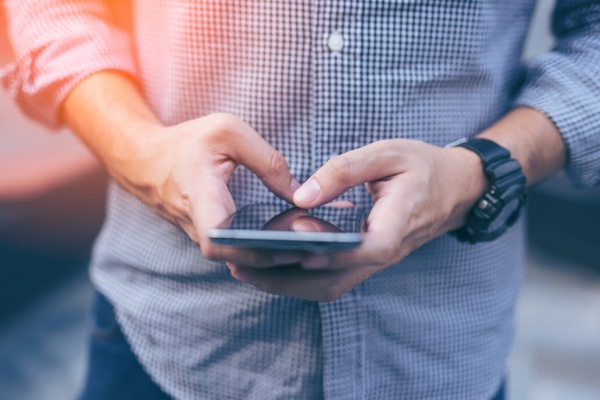 There are also apps that provide people in recovery with various care resources, coping skills, support groups, and on-demand support access in times of need. If you are struggling with a substance use disorder, there are many different forms of addiction treatment help available. At The Orlando Recovery Center, we offer a comprehensive range of services customized to best fit your needs and circumstances. Contact Orlando Recovery Center now to speak with one of our addiction specialists about how we can help you or a loved one find the path to recovery.